"Before he became an MP, in 1997, Gibson was Dean of the School of Biological Sciences at the University of East Anglia (UEA). East Anglia was the base, until the mid nineties, of Fisons, the agricultural chemical company. Funding from the company helped shape research at the UEA, more so when Fisons was bought up by Rhone-Poulenc in 1996. In 1999, Rhone-Poulenc joined with Hoeschst Marion Roussel to form Aventis. UEA has had a funding input from all these companies and, in 2003, it was in the top twelve Universities receiving funds from the BBSRC, the bio-tech quango which dispenses massive funding – some of it from the coffers of the Sainsbury family. Gibson himself has declared funding received from Rhone-Poulenc for taking part in scientific meetings. Over the past few years, Gibson has been the Chair, and then an ordinary member of the All Party Science and Technology Committee (APSTC), the watchdog committee which oversees science policy in the Commons for the Science Ministry which is situated within the Department of Trade and Industry (Dti). The APSTC is funded in part by Astra Zeneca, the Dti and bioscience companies. Together with Dr Des Turner [Gibson Group 'Inquiry' into ME/CFS Member], Tony Wright [previous Chair of the APPG on ME/CFS and in whose office this ME/CFS 'Inquiry' is currently situated] and Dr Richard Taylor [Gibson Group 'Inquiry' into ME/CFS Member] – also a member of the Associate Parliamentary Group on Health, set up by the pharmaceutical lobby group Networking for Industry – Gibson is a member of the All Party Group on Cancer, which is heavily funded by all the leading Big Pharma names, including Novartis, Pfizer Lilly and Merk. He is also a member of the All Party Group on Pesticides and Organophosphates, which, until they became more focussed on bio-engineering, were staple product of Fisons and Rhone-Poulenc. Gibson is a leading member of the British Association for the Advancement of Science, now called simply the BA, which in the early nineties played a considerable role in promoting the ‘quackbusting’ Campaign Against Health Fraud. Gibson sits on the editorial committee of the BA’s magazine, Science and Public Affairs, the magazine is again a public arbiter of government science policy and Gibson shares his editorial role with personnel from the Royal Society of Spin, The Financial Times, the Parliamentary Office of Science and Technology (POST) – the science policy-making centre of government, and the Wellcome Trust. Involvement in the higher echelons of corporate science and government has brought Gibson into contact with the new generation of science lobby groups. Sense About Science – funded by the ABPI and various chemical and pharmaceutical interests; The Institute of Ideas – funded by Pfizer and the Science Media Centre, also funded by the ABPI and a variety of powerful corporations. These lobby groups work in partnership with New Labour, POST and the Dti. Although they profess a focus on science, these groups, are actually involved in corporate PR and spin. They are linked in North America to right-wing libertarian groups heavily involved in ‘quackbusting’, campaigning rabidly against alternative medicine, environmentalists and patient advocacy groups. In Britain, they have been involved, in partnership with the Royal Society and the Royal Institution, in pushing corporate interests in Genetically Modified crops and pharmaceuticals. 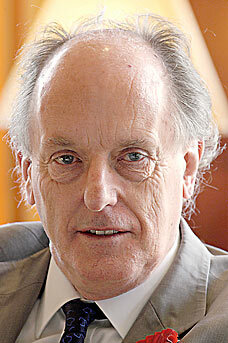 In 2004, Science in Society, the magazine of the Institute of Science in Society, one of the most independent and radical science campaigning groups, informed its readers of the collusion between Professor Derek Burke a leading member of Sense About Science, and Dr Ian Gibson, in defending GM crops on the grounds that they were perfectly safe for human health. This interest in corporate science is, of course, quite natural for a man who has been an academic scientist prior to entering the Commons. For ME sufferers, however, Gibson’s involvement with the various groups above must sound alarm bells. As I explained in Brave New World of Zero Risk, the lobby groups which are presently spinning news on behalf of corporate interests and New Labour are the joined up version of the quackbuster group HealthWatch (in fact, members and ex - members of HealthWatch actually write unattributed copy for members of these lobby groups)." 1. MSBP, ME/CFS and the under 5s. 2. Munchausen Syndrome by Proxy and Lyme Disease/Borreliosis.